Let Iron Man and his power suit protect your documents from enemies. Your favorite Avengers heroes and villains have become paperweights. 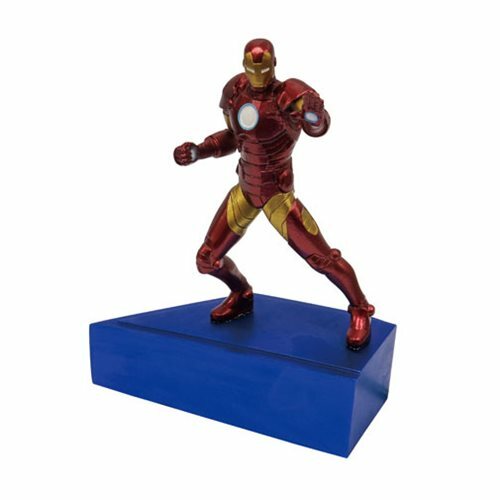 This Marvel Iron Man Paperweight features Iron Man posing on top of a paperweight base. Collect the whole line of Marvel Papereights (sold separately) and assemble their bases to contruct the Avengers logo while the characters strike a stunnning group pose! This resin statue measures approximately 7 1/4-inches x 5 1/4-inches x 3 1/4-inches. Ages 14 and up.